Are you running a business or want to earn money as an online freelancer then you need a website and blog. A website helps you to promote and sell your product successfully responds to customer needs because blogs have contents and Google loves content. If you have a well-written blog you will get more visitors to your site and these days’ people are turned off by pages just trying to sell with no other really valuable information. People look at the blog to see if the site knows the subject and will buy more easily. So, if you're looking for earning passive income then you must need well-optimized blog or website. For instance, HostGator is known for its exceptional customer service and reliable servers, although such qualities aren't required of hosting companies. In general, they typically rely more on pricing and software to attract customers, having such quality service, as well as reliability, is very positive. 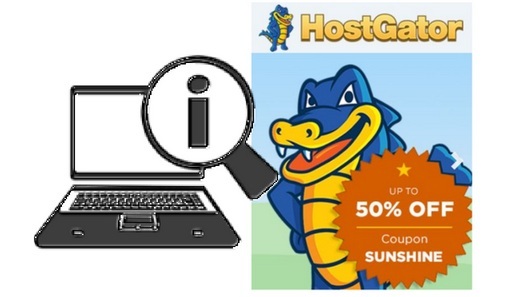 HostGator because of this has gotten numerous awards for its customer service. Websites are run on web hosting servers. This means that on occasion webmasters may have to deal with an array of technical problems. A good web hosting company has a great technical support system (usually 24 hours a day) as well as friendly customer service. Technical support includes the ability for webmasters to change settings within their hosting setup. Perhaps one of the more defining features that decides whether or not a host is good or not is the type of software they use. Also referred to as the amount of time a server goes down within a specific duration, reliability is an essential attribute of all of the best services. What first attracts customers is the different kind of pricing packages they offer. Variety is key when it comes to pricing. Even HostGator support team also help you to install WordPress for free of cost, then, you just need to customize your website with your own WordPress theme. First-time bloggers can go with the shared hosting options. It's affordable and you can always upgrade your plan as the site grows. More experienced and or switching hosting providers can go with cloud and WordPress hosting plants and that will be a great fit. Small Business Corporation and or reselling, I would like to recommend checking out the VPS and dedicated hosting plans. Select a hosting plan that fits your needs. If you have just started out, then I would recommend the Hatchling plan. But if you are really serious about this and want more resources and power go with their Baby or Business plan. If you only plan on creating one website which is the Hatching plan or if you have multiple domains and plan on creating multiple websites go with the Baby plan but you can always upgrade later. If you don't have a domain name, you can buy dot com TLD from HostGator for $12.95 /year or one year. I highly recommend purchasing domain privacy for only $1.25 per month billed annually at $14.95 and it will help protect your identity online like your name, address, etc. Privacy protection hides your personal contact information from public view. However, don't spend a ton of time on this step you can always change the domain name later. Confirm hosting plan and billing cycle on this step. The biggest bang for your buck is on the 36-month term, but you can always choose monthlies, 12 months, and 24 months billing cycles as well. Note: HostGator will charge you upfront for the entire term. For an account creation purposes, enter your username and security pin don't forget to write this information down you'll need this later. Filling out your billing information is pretty self-explanatory. 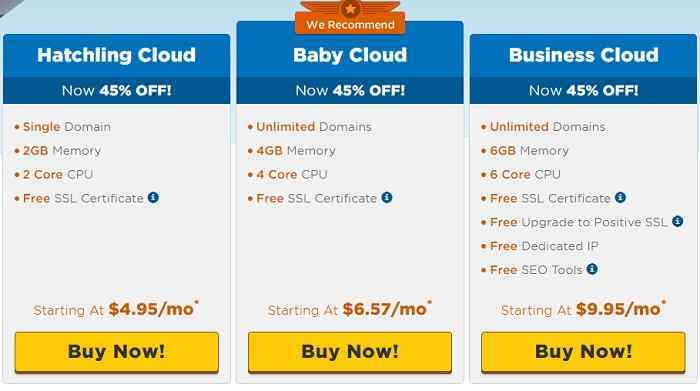 HostGator very generously gives you a free SSL of no extra charge to you. Review the add-ons below and decide if you want to add additional services. Review your order details and accept the terms. After successfully signing up you will receive a welcome email confirming your hosting plan, control panel link, username domain password, and first & second name server connected to your account. Within the HostGator customer portal, visit the hosting tab and find the WordPress icon Get Started with WordPress today for a one-click install. If you have multiple domains, make sure you are installing WordPress to your preferred domain name, make sure every field gets filled in here. Blog title, admin user, first, last name and admin email success. WordPress has been installed to your domain, make sure to write down your username and password you'll be needing it on the next step. Now that WordPress has been installed let's log in to the admin area so you can start creating the website. In a new tab type domain.com slash WP admin and log in. This will be the easiest way to access your WordPress back-end and you can start creating or designing your website or blog. Thanks for providing this wonderful post.I am really thankful to you.